Our son-in-law, Luke, had a birthday yesterday (7/1). As I was asking the Lord if He had a word for me to give to him for his new year the Spirit began to first speak to me once again about the significance of the date 7/1/17. As I waiting to hear a word for Luke the Spirit instead took me to the Book of Luke 7:1. The seventh chapter of the Book of Luke begins with the story of the centurion’s servant being miraculously healed. Next it tells the story of Jesus raising the widow’s son from the dead during his funeral procession, then we read an account of multiple miracles and it concludes with the “sinful woman”, who pours the alabaster flask of fragrant oil over the feet of Jesus, receiving forgiveness and freedom. Luke 7:1 is a chapter of great miracles and breakthrough; multiple miracles and multiple breakthroughs! In the sixth chapter of the Book of Luke we find the beatitudes. Jesus is teaching His followers about His ways, His truths, His Kingdom, what He loves and what He hates. As I read through these verses in chapter six and then turned to read chapter seven, the Spirit revealed that we have gone from a chapter of instruction and hearing truth to a chapter of walking in that instruction and truth as well as seeing all that we have been taught fulfilled. There has been a great sifting that has taken place. It has also been a time of deep refinement and alignment with Kingdom truths. This has produced a purity of faith like we see in the story of the centurion and the women with the alabaster jar. A humble authority has come upon His sons and daughters that is releasing a fragrance that will be poured over the feet of Jesus once again. The religious spirit will mock but true sons and daughters will release the fragrance of being poured out. The Lord has now moved us into a new chapter as we have crossed over our 7/1 (July 1st and Luke 7:1). This will be the chapter in time where we see multiple breakthroughs and miracles. 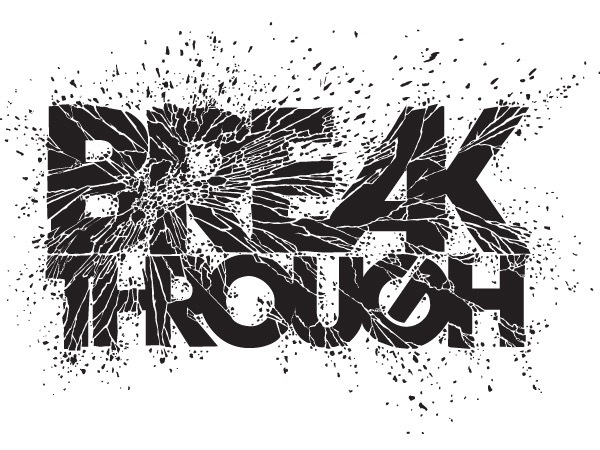 Breakthrough will come to many personally (like the woman with the alabaster jar) but it will also come in the form of the blind seeing, the lame walking, the lepers being cleansed (deliverance and forgiveness), the deaf hearing, dead being raised and the poor will have the gospel preached to them and become heirs of the Kingdom. The restoration of the fear of the Lord has been the restoration of the faithful ones. Nehemiah 7:1-2 recounts the completion of repairing the wall and gates that surrounded Jerusalem. It speaks of the appointing of the gatekeepers, the singers and the Levites and positions of authority established for those who walk in the fear of the Lord. Those who walk in the faith and fear of the Lord, allowing this deep refining to wash over them, will receive authority and charge over Kingdom matters and regions. This is another type of breakthrough that will occur. Like the centurion, Mordecai, Esther and David; humility will release authority. This authority will usher in breakthrough for cities and nations to see the gospel established in the hearts and lives of many who have been living in darkness. Significant shifts will come forth as men and women who walk in humble authority, faith and the fear of the Lord are placed in God appointed positions. A new chapter has begun! It has begun in individual lives, in cities and in nations. Miracles, signs and wonders will break forth like the dawn of a new day. Light will shine in the darkness and the “fragrant ones” will be poured out over the feet of Jesus.